[App name] can’t be opened because it is from an unidentified developer. 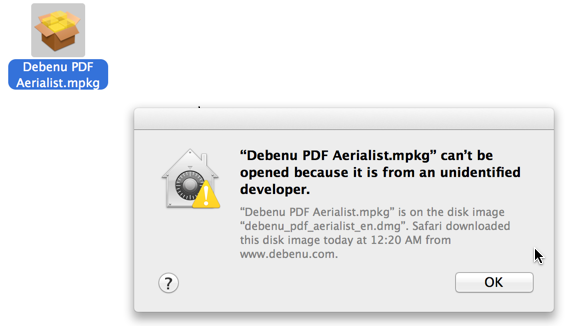 This issue is due to a new feature that was added in OS X Mountain Lion called Gatekeeper which keeps things more locked down. A range of temporary and workaround solutions can be found on this site which allow you to resolve this issue.